Mari Ito (born in 1974) received her undergraduate degree in architecture from Toyo University (1997) and her Master of Engineering in Architecture from the Toyo University (1999). Mari Ito has worked at Studio Kenchiku Keikaku/Makoto Motokura,Tokyo(1999/2000) after moved to Rotterdam Atelier Kempe Thill architects and planners(2001/03). 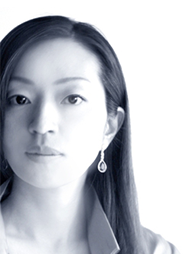 In 2006,she has co-founded architects office,”atelier IMK”,now renamed office “UAo”.